At Blossom Wedding Studio, our goal is to give you the wedding you've always dreamed of. A wedding that reflects your unique personality and style. A wedding that you and your guests will delight in. We are based in Bangor, Northern Ireland and provide our service to the whole of Northern Ireland, Dublin and surrounding areas. 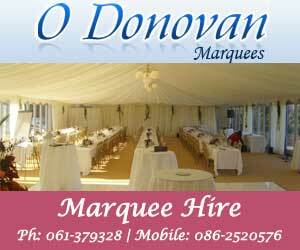 We have a full range of chair covers, sashes, centerpieces including , wedding cakes and wedding stationery. A consultation at our *NEW* Blossom Wedding Studio where you can view samples of our work will ensure that we transform your wedding into a magical setting. All our packages can be tailored to your requirements. We also ship Wedding Stationery to the whole of the UK. Your engagement is a special time that you should enjoy to the fullest. Don't spend it stressing out about your wedding details. We'll discuss all your ideas at length, then design a plan with a variety of options for you to consider. When you Organza sashes, chair coversgive us the go-ahead, we'll make it all happen, keeping you updated regularly, of course. You can just sit back and sample cake, taste champagne, and smell the roses. With our extensive industry experience and contacts, we are uniquely positioned to create your memorable day for much less cost than you might expect. We can cater for most aspects of your wedding including, venue dressing, wedding cake and a full range of wedding stationery. At Blossom Wedding Studio we can cater to all tastes when it comes to wedding cakes. We take pride in being perfectionists when it comes to baking and sugar craft. Our wedding cakes have a soft and fluffy sponge in vanilla, lemon drizzle, red velvet, chocolate, dark chocolate or fruit. We can fill it with any colour or flavour of icing and jam. We deliver and construct the cake for you along with supplying a stand if you venue does not supply one. At Wedding Blossom Studio we try our best to cater to your colour and material preferences. We have a selection of black, white and ivory chair covers which are specially designed to fit any chair. Our sash collection is extensive and you with many colours to choose from. Our chair covers and sashes are laundered and ironed after every use. "Blossom Wedding Studio, Ashbury Gardens, Bangor, BT19 6TN. Venue Styling in Northern Ireland"